For any company, its most important asset is its people. For Premier Performance, where we rely heavily on the expertise of our technical sales team to help our customers grow their businesses, that goes double. That’s why we started this new series, Running with the Pack – to celebrate the team members who make Premier Performance the industry leader in wholesale distribution for the diesel, performance, and offroad markets. And that’s why we think it’s important to kick off this series with one of the leaders of that pack, Jesse Law. 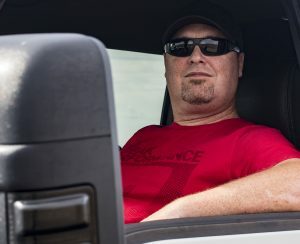 Jesse has been with Premier Performance for over thirteen years, and we’re very lucky to have him. In his current role with the company, Jesse serves as a Cross-Functional Team Lead who manages Premier’s Technical Sales team, among a host of other responsibilities. Since starting out with the company as a Technical Sales Rep over thirteen years ago, Jesse has helped Premier establish itself as the industry leader in product knowledge in addition to distribution capability. His tireless dedication to expanding and sharing that product knowledge have elevated him to a leadership position, now managing the entire Tech Sales team and ensuring that Premier continues to set the standard. For Jesse, much of that product knowledge comes from years of being an automotive enthusiast himself. He’s loved working on trucks, cars, dirt bikes, and everything in between since a young age – starting with model car kits as a kid. 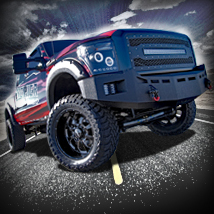 Jesse’s current vehicle, a 2015 Ford F350 Lariat, is outfitted with a variety of aftermarket upgrades. He currently has an EZ LYNK Auto Agent tuner installed, plus a Banks intake, a BAK MX4 bed cover, Recon light covers, and Husky Liners WeatherBeater mats. That ability to handle a wide variety of incoming calls has earned Premier a reputation over the years as a leader in the field of customer service, and has simultaneously earned Jesse and his team the appreciation of co-workers and customers alike. Stay tuned for more editions of Running with the Pack as we continue to spotlight the team members who help Premier Performance stay at the top of our game!